Raymond writes with a very simple vision: Educate people about wonderful sports. 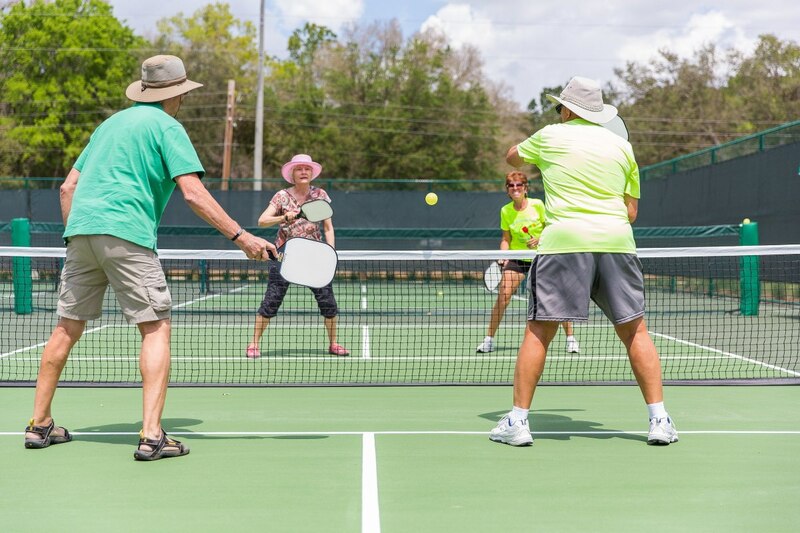 Pickleball has taken off in recent years and has become extremely popular. Coming along with that popularity are tournaments and competitions, which require certain levels of skill and different strategies. You are here because you want to become the best pickleball player you can be. Here, we will discuss the skills required at each skill level, so that you can know what to work on when trying to upgrade your skill level. The categories are based on the official USAPA assessment sheets and are used by local rating committees to rate players, or by players themselves, when practicing. As most of you know, when you enter into a tournament, you play according to your skill level. But no matter what your skill level is, you still need some good strategies to help you win. Therefore, we have come up with a few of the best strategies for players at each skill level, and to help you pass on to the next skill level with a little more ease. 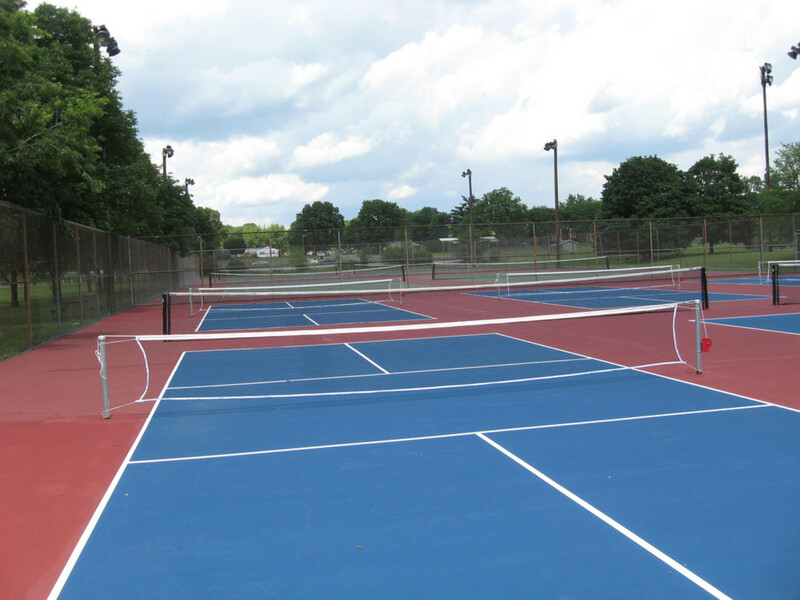 Pickleball is played on a standard Badminton court; the ball is served diagonally- starting with the right-hand service-square, and points can only be scored by the serving side. Pickleball can be played by singles or doubles, and the server continues to serve while alternating between service courts before he/she faults. The serving team is determined by a coin toss. 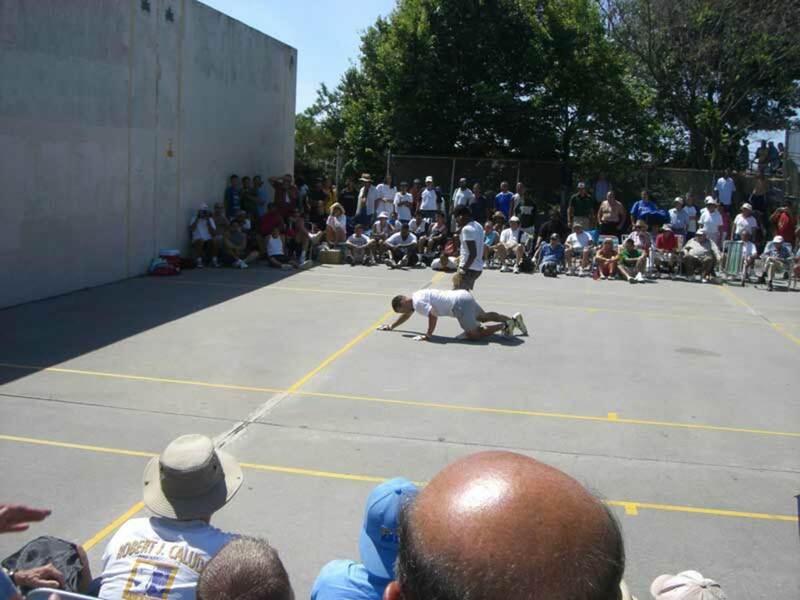 Players must let the ball bounce once before being allowed to volley the ball. There is a seven-foot no-volley zone to prevent “spiking.” The game is won when one side scores 11 points with a 2 point lead. Serves are to be made diagonally, and start in the right-hand service-square, while alternating for each serve. The serve must clear the non-volley zone and net, landing on the diagonal square. Serves must be done underhand and below the waist, while the server’s feet must be behind the backline while serving. The ball must be hit without being bounced, and the server will continue until he/she faults. At which point the service will be given to the opposing team. To volley means to hit the ball into the air without letting it bounce first; this can only be done when the server’s feet are behind the non-volley zone. Players should always make their first shot off the first bounce, so the receiving team must let it bounce before hitting it, and the same applies for the serving team. When this has happened then the players may volley or play off the bounce. Now that we have covered the basics and rules of Pickleball, we can jump into the strategies. Instead of generalizing all the strategies, we have broken them down by individual skill level. If you would like to know your skill level, you can find more info online. To pass to a 2.0 skill level, your skills will be determined and you will be scored between 0-3 for each skill. 0- not observed or not able to execute, 1- Attempted but very poorly/needs work, 2- good basic form but needs work, 3- solid and consistent performance. You will also need to score 4 out of 10 or higher for your service, service return and volley. For each skill level your mobility, hand-eye coordination, quickness and balance will also be tested, and any injuries or conditions will be taken into consideration and scoring will take place accordingly. You will also be required to have a good grasp on basic rules for each skill level. This is the most comfortable and common stroke for players between the baseline and mid-court. This happens when a player simply hits the ball after it bounces. The shot is made from the player’s strongest side and is therefore mastered along with basic skills. A backhand is very like the forehand; the only change is that you change the direction your body is facing. This should be done in motion; the backhand requires your serving shoulder and foot to be facing the front- your front shoulder should be facing your opponent. The forehand feels like pushing the ball, but the backhand feels like pulling the ball. Firstly, a volley is when you hit the ball before it bounces; this is easy enough, and a volley can be hit from anywhere on the court. The easiest volley technique is called the punch technique. This is where you use a quick punching movement, using the elbow as a hinge to volley back and forth with your opponent. This is the most aggressive technique in pickleball, and you will have to master it early on to be able to use it to your advantage in future games. 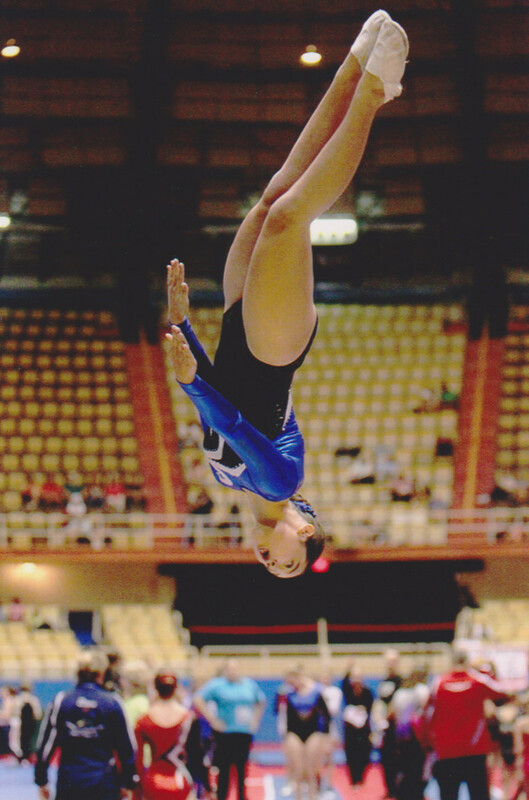 A high ball can be hit downward, using the leverage of a fully extended arm. Overhead shots are a way to capitalize on an opponent’s mistake, and they are usually the result of a too low lob or a volley too close to the no-volley zone. If you see the opportunity present itself, you should back up a little, position yourself sideways and lift both arms. Experts say that your non-paddle arm should be pointing at the ball, while your paddle bearing arm should come above your head to prepare for the shot. Try and make sure that you hit the ball with the centre of the paddle, and remember that you don’t want to hit it out of bounds, so be aggressive, but not so much that you cause a fault. Also, be sure to look where you are going when you back up; even professional players lose their balance and fall on the court. To master a 2.5 skill rating, you need to score 60% on your service requirement, service return and volleys. You will be expected to apply more advanced strategies and to have mastered more techniques. These will be discussed below. The game begins, and the server is on the right side of the court, their score is 0-0-2. They are the even server. If they win, they must go to the left side of the court. Their score is now 1-0-2. If they win another point, they move to the right side. Right side- even score. Left side- odd score. You need to keep track of which side you’re supposed to be on because of Section 5 of the official IFP Pickleball rules. There is a clearly defined sequence of serving that must be followed, especially when you play competitively. The volley is best used at the kitchen line- where it becomes an invaluable weapon. Position yourself at the kitchen line, and be ready for some action. Stand knees shoulder width apart, and have the paddle ready and facing the net. The kitchen line, or non-volley zone, should not be touched when volleying, so be careful not to touch the zone or lines defining the zone when volleying. A forehand lob shot is one of the most gratifying shots of the game, but you need to be careful. 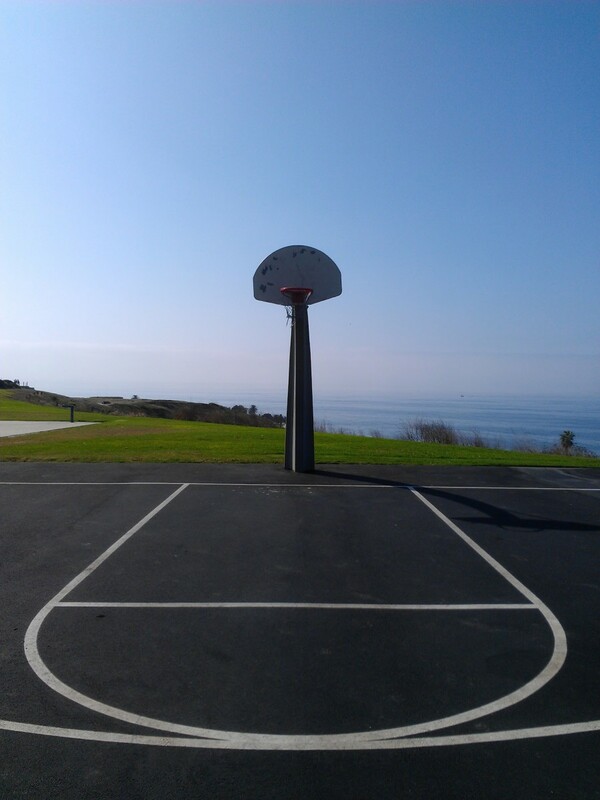 It is only an asset if you can keep it in the court; it is no use to you if it lands outside the court, so you will need to practice until you get it right. There are any number of ways that you could use this strategy to your advantage. Firstly, you could wait until your opponent has become a little too predictable, trick him into thinking you’re going in for a dink, then give it a little more loft and watch it soar over their heads in one beautiful motion. If you’re going in for a short ball, and won’t be able to keep your dink low; you could use a defensive lob shot to force your opponent into backing up, giving you enough chance to get back into the ready position. A dink is basically a short drop shot that originates from the non-volley line and goes over the net and drops into the non-volley zone. This is useful because most pickleball players go for an aggressive and powerful strategy, but using a softer technique can put these players at an immediate disadvantage. This neutralizes their strategy and keeps you in control of the ball. If you dink, and your opponent hits it hard, it will either go into the net or out of bounds. Be patient; you might need to dink a few times before setting up the perfect system for you. If you get impatient, you might hit it too hard or too fast causing you to fault. Bend at the knees, not at the waist. Point the edge of the paddle toward the net at a 45-degree angle. Keep your wrist and elbow stiff, while swinging from the shoulder. Watch the ball and make sure to hit it with the center of the paddle, while watching the ball the entire time. You finish off the stroke with a nice volley. The competition will grow fiercer as you move up in the ranks, and you will find yourself having to move more quickly, find your place more easily and employ your own strategies to get ahead in the game. It is for this reason that you will need to score 70% in your service, service return and volley requirements to earn your 3.0 sill level rating. A boxer won’t go into the ring and just start hitting the air randomly. 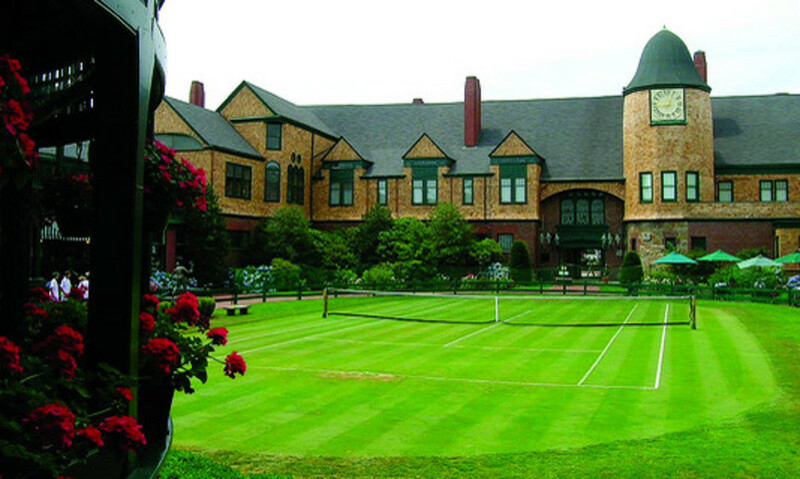 You need to be able to control your groundstrokes. This far up in the skill levels, luck won’t be on your side. You need to practice your swing, and manage to control it much better if you want to move up or be a match for your rivals. Keep an eye on your strokes; you need to be sure that you are positioning your body in the right way, since this can mean the difference between a good serve, and a bad one. Strategies will always depend on your skill, and to enhance your strategies, you will need to enhance and hone your skills. It is at this point that you need to put more thought into your strokes. Pickleball players have a unique term when it comes to serving- KISS (Keep it simple, stupid). Too many great players have been taken down by their flair for the dramatic. The best serve is the one without fancy strategies or spins. If possible, try not the hit the ball out, but place it deep in the court. If you notice a player favoring one side, then try and place the ball on the opposite side. This kind of ball control takes practice, so don’t get frustrated when it doesn’t happen immediately. And remember- practice, practice, practice! The higher and deeper you return your serves, the more your opponent has to scramble to get to the ball. Don’t tire yourself by constantly running after the ball- make your opponent do that. This gives you more time to approach the net and anticipate his/her next shot. The non-volley line is where all the action happens and will allow you to get to the ball more quickly. This allows you to employ some of your strategies without losing valuable time to bounces or trying to get the ball. This requires some self-control and skill; however, if you hit the ball too hard, it will go out of bounds. If you hit it too softly, then it will launch into the net. You will need a lot of practice to get the perfect balance, so try working on that during your next practice session. This is one of the most challenging aspects of pickleball, since you will need to anticipate your opponent’s every move and one mis-step can lead to a fault; you need your opponent to fault, so if you do this well, then you have a simple and effective strategy in the works. The best advice is to keep it simple. Keep your eye on the ball, that is all that matters, and don’t go for fancy shots. Your opponent will do that, but you need to set your opponent up for a fault. This won’t happen right away, so get into a rhythm, and watch your opponent make mistake after mistake until eventually they fault. Keep your technique perfect and control your volleys. Knowing the correct court positioning can help your team gain a few extra points if you are alert. Many people know the rules, but don’t understand the positioning. This means that their reaction time will be slower as they try and figure out where they should go next. By understanding the positioning rules, your team can move effortlessly, and will be able to be more composed as the game goes on- leading to greater proficiency and composure. If you can do this, then your opponent might go in for harder shots, causing them to fault. You will want to try and soften the game as much as possible, since most players tend to be a little more aggressive. Be quick, but be sure to be patient and use the proper techniques. This is a satisfying feeling and effective strategy. If you go for higher balls, you run the risk of hitting the ball out of bounds. But if you can get your opponent to do that- then great. If you hit lower, your opponent’s first response will be to hit higher. This can throw them for a loop and confuse them for a few vital seconds. Things will really start to heat up at this level, and you will be facing opponents with a mix of skill and experience. These players have an abundance of skill, talent and dedication. They will have practiced for hours, come close to perfecting certain skills and developed their own strategies. But by now, you will have done the same. You will be expected to earn 80% for your service, service return and volley requirements. If you play doubles, you know the importance of partner communication. When you and a partner have played together long enough, it as though you expect each other’s every move. This type of connection will only develop over time, so whenever possible, be sure to practice with your partner. It is also wise for the two of you to come up with some game salvaging tactics. 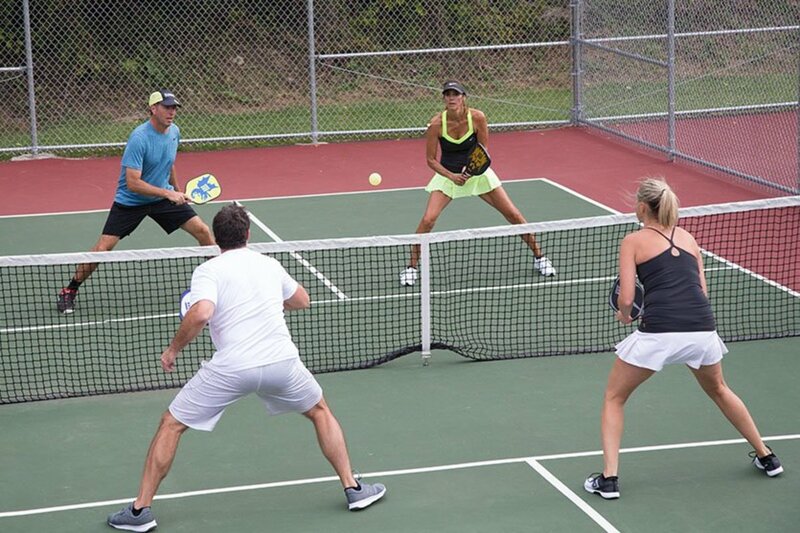 Every game has its ups and downs, and when facing off against some of the best pickleball players around, you will need to anticipate that at some point you will need some game changing tactics. If you want to win, you need to have a wide arsenal of shots at your disposal. The quicker you master the shots, the quicker you can start putting your own spin on them, which is a requirement for level 4.0 players. The first step is consistency. Don’t try a scattered approach; take the shots one at a time until you have mastered them all. This will take a long time, but you will reap the results in no time at all. Your opponents will be out for the win, and you need to throw them off their game. The quickest way to do that is by countering their fast-paced shots with a slow-paced shot. By this stage in the game they will be all fired up and ready for war. By calmly slowing the game down, you can get them to lose their focus and make mistakes. If the ball maintained the same speed throughout the game, things would get dull and fast. The hallmark of a great pickleball game is the changing pace of the game. You need to keep up, or get out. When practicing try and see how quickly you can adjust to differing ball speeds, and this will help you on the courts in the long run. You have made it into the big leagues of pickleball, and this is where things get tough. Pickleball will always be a fun sport, but now it becomes especially challenging. You will now be considered as an expert player, and you will have to conduct yourself as such, earning a 90% score on your service, service return and volley requirements. At this stage in the game, the non-volley line should be yours. Let your opponent use their best techniques on you until they run out, then use yours. It is important that you maintain control of the non-volley zone, so you can’t shy away from it. Be confident, and remember to control your technique; if you get too aggressive, then the game is over. Watch how your opponent starts the game: are they slow and patient, or aggressive? If you are patient and hold off on offensive tactics until you find a weakness, you will eventually be rewarded. Don’t go into the game expecting to win it immediately. Don’t hold back but don’t give up all your strategies in one go. Keep it simple and watch what your opponents do. Finding and exploiting weaknesses is the best strategy in your arsenal, so don’t mess it up. Often, players will be focused on trying to use all their strategies, and your counter attacks will frustrate them into revealing their weakness. Be patient; slow and steady wins the race. Poaching is a doubles term that means hitting a shot that is coming into your partner’s side of the court. In beginner’s games, this is considered rude, but on the higher levels it is expected. By now, you and your partner need to work as a team, and this means some humility. If you see your partner won’t be able to make the shot, or you will be able to make a controlled offensive shot, then it is your duty. This is especially true of two right handed or two left handed players. Put pride aside (both of you) and let the one who can make the better shot go for it. The best strategies often rely on the best use of skill. Remember, your opponent will try and rattle you. Rallies are the best way to do this. But you must be better. Keep calm, and be patient. Let them hurl their best at you, or wait them out until they do. Counter attack until you spot a weakness, then don’t hold back. 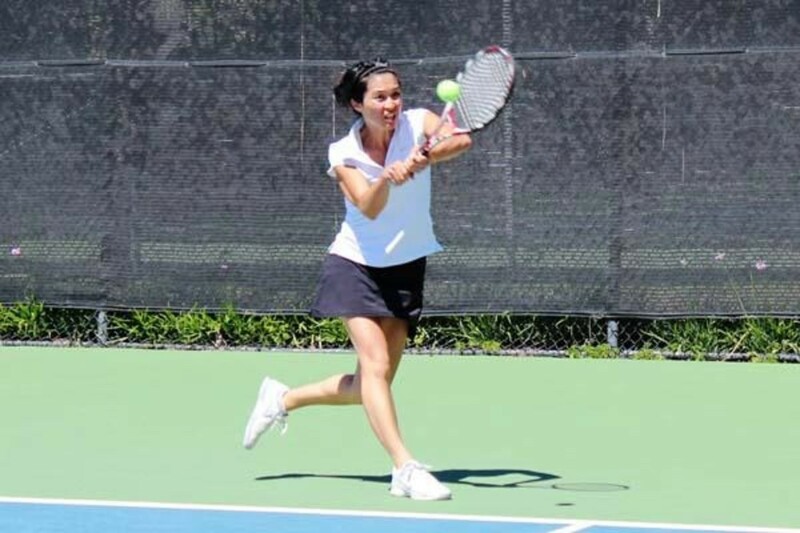 Whether you prefer to play singles or doubles, we could all stand to take our game to the next level, regardless of which skill level we are on. Your needs are important. On the pickleball court, your skills are the ones that matter. Even if you are on a team, you still need to make sure that your skills are top notch, since you can either drag your partner down or enhance their skills. This is especially important if your doubles team has a mixed skill. One player with high skills can help one with a lower skill. This makes the most sense if you are playing a singles game, however, since you won’t be able to rely on anyone else. Switch it up. Yes, we all have our go-to partner, but this can become a bad thing if you two just aren’t clicking anymore. Don’t forget your partner; try and take some time apart or even play against each other to get that old synergy back and even discover some new skills. Go back to the basics. Sometimes, we need to go back and play some pickleball in the backyard with the kids. Returning to the basics will clear your head and remind you of some useful moves that might just improve your game. We all want to be champions, and the key to becoming the very best pickleball player on the circuit is by having a winning strategy. Use these strategies, come up with your own and mix it all together, and soon you will be the next pickleball champion! Did you enjoy the article? would you like us to write more about pickleball related articles? Hi,there is a give away at Amazon about pickleball paddles.